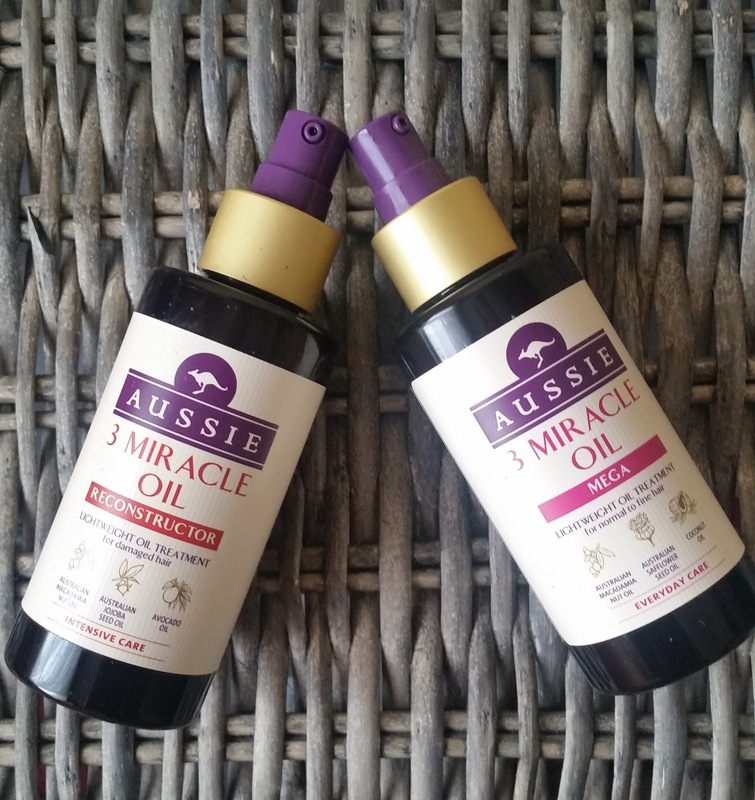 Aussie 3 Miracle Oil arrives in two choices, mega or reconstructor, ill explain more what the difference is between the two. 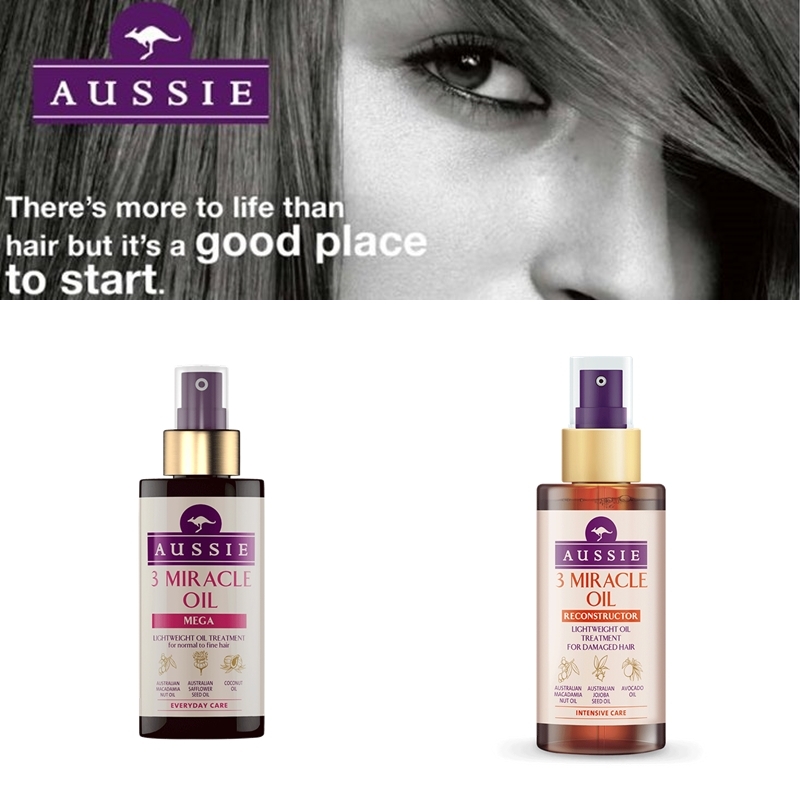 Anyone who uses the "AUSSIE" brand will know just how great their products are and will leave your hair smelling great all day! *On damp hair to help repair the smoothness. *Dry hair for amazing shine effect. 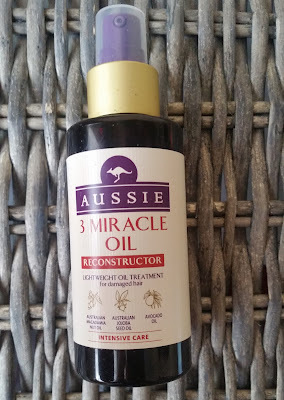 A lightweight oil treatment for fine/normal hair that contains three essential oils for healthy luscious locks. 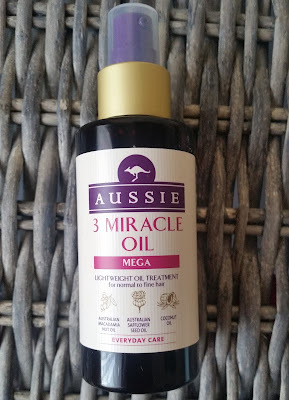 Australian macadamia nut oil, Australian safflower seed oil and coconut oil really does take your everyday hair care routine to the next level. The oil is clear and instantly absorbed when applied to your hair helping your hair become smooth with a healthy looking shine. 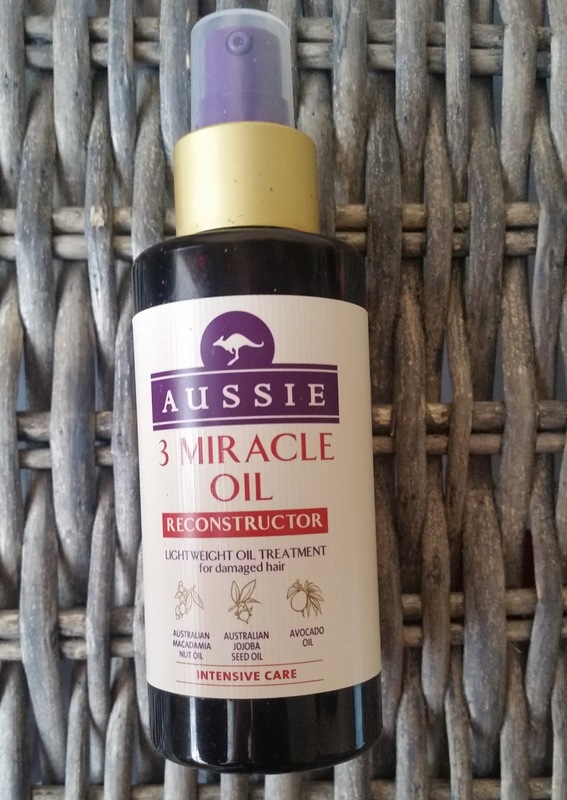 A lightweight oil treatment for damaged hair that contains Australian jojoba oil, Australian macadamia oil and Avocado oil that will help repair hair that has been damaged or your wanting to give your hair a treatment. The oil is clear and smells sweeter than the mega oil but both oils smell hair heavenly! One pump delivers just the right amount of oil to use but you can always add more if you like. The oils really are lightweight so even if you add more, you wont be left with the your hair looking greasy. You could use the "Mega" for daytime styling and care and give your locks a treat throughout the night by using the "Reconstructor" before bed time. I am a huge fan of hair oils and use them quite a lot to put nourishment and moisture back into hair that have been coloured or heat styled, these two oils don't disappoint! X Neil.